Some of the poz artist’s huge murals are on display for the first time in three decades. Before he died of AIDS complications in 1990, 31-year-old street artist Keith Haring became an international art superstar, and his vibrant work continues to influence people around the world. Now, two of his largest artworks in Europe are visible for the first time in over 30 years. 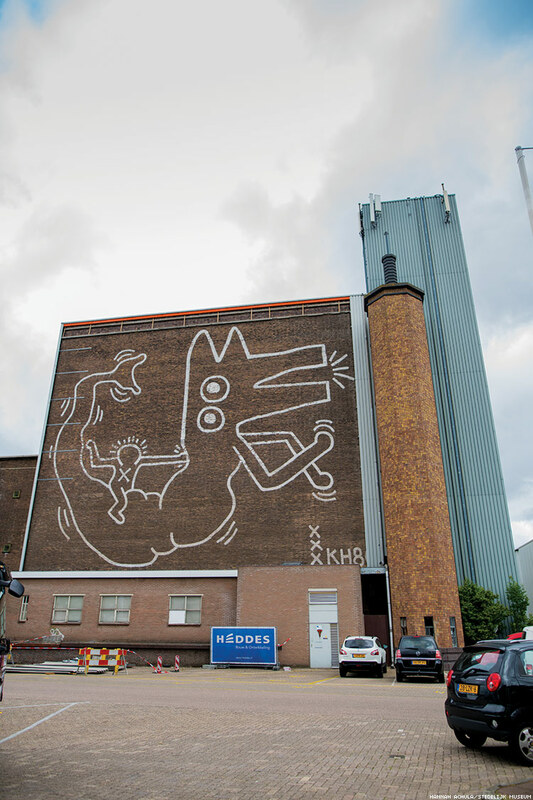 The largest surviving Haring mural in Europe is a simple, powerful image created as part of an exhibition of his work at the Stedelijk Museum in 1986. Hidden behind aluminum plates for decades, it was painted on a former museum storage building. Recently, famed graffiti artist Aileen Middel (aka Mick la Rock) spearheaded a campaign to save it from demolition. This June, the mural finally saw the light of day but its fate is still uncertain — and saving it may require moving the entire wall. Meanwhile, this October, another huge Haring mural that was in storage for 30 years will once again be on display — a painted canopy designed to filter daylight into the grand hallway of the Stedelijk Museum. The piece was also created in 1986, while the museum was running a solo exhibition of Haring’s work. 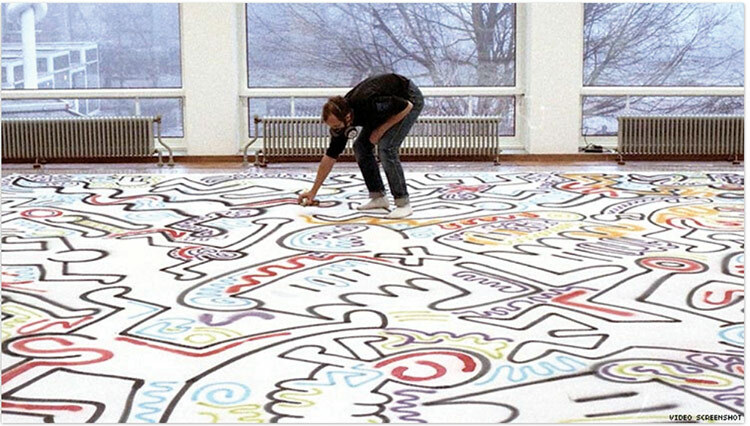 According to a museum spokesperson, at the time, Haring spread a 40-foot-by-66-foot canvas on a gallery floor and spray-painted the intricate design in a single day, while hip-hop played in the background and news media watched from the sidelines. Because the canopy had been in the museum’s storage for three decades, it took a four-month effort to restore the artwork to its original brilliance so it could be revealed to the public.